SONY DSCThis historic Phoenix firehouse on Encanto Boulevard will be open to the public for an inside look during the Annual Willo Historic Home Tour and Street Fair, Feb. 9-10 (photo by Teri Carnicelli). “Home tour” season is in full swing in Phoenix, and two historic neighborhoods are opening the doors to some elegant, funky and creative homes this month. The Willo Historic Neighborhood hosts its 31st Annual Willo Historic Home Tour and Street Fair, Feb. 9-10. Willo is Phoenix’s largest historic district consisting of more than 900 homes and is bordered north to south by Thomas and McDowell roads, and east to west by 1st to 7th avenues. The homes range in style from Tudor to Spanish Revival, Bungalow and Ranch and were built from the 1920s through the 1940s. Home tour-goers have two options to choose from: a “twilight” tour from 4-7 p.m. Saturday, Feb. 9 (capped at 500 tickets), or 10 a.m.-4 p.m. Sunday, Feb. 10. Tickets are $18 plus a $2.96 fee, online at www.willophx.com. The street fair, with classic car show and beer/wine garden, is free and opens to the public at 9 a.m. on Sunday. The Coronado Neighborhood Association presents its annual Historically Modern Tour & Street Fair, 10 a.m.-4 p.m. Sunday, Feb. 24. Visitors will gather at Coronado Park to enjoy food, music, and lively street fair followed by a tour of homes with a preserved history as well as ones that are fully renovated. 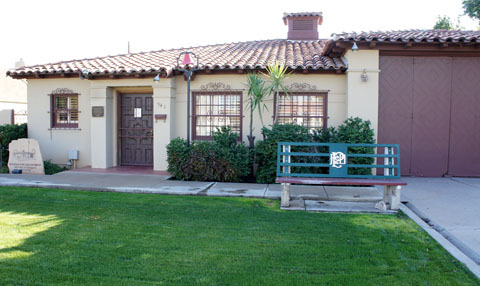 Coronado is home to many types of architecture including Craftsman and California bungalows, Spanish and Pueblo revival, Tudor style homes and Early / Transitional Ranch style homes, among others. Home Tour tickets can be purchased in advance online at http://thecoronadoneighborhood.com for $15 or on the day of the event for $20 cash or credit. This year you can also pre-purchase beer garden tickets (must be 21 or older). Pick up your wristband (your pass to the homes on tour), Home Tour Guide book and your pre-ordered items at the ticket booth in Coronado Park, 1717 N. 12th St.